Just a short post this week. We salute and say goodbye to our little furry friend Hamphrey. 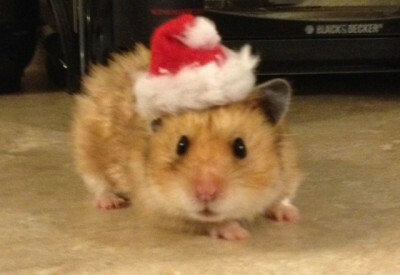 He appeared in a number of my posts last year—he braved and survived surgery as described in the meddling hamster, he saved me when I flat-out had no blog ideas, and he began snoring in the cutest way ever, and then he wished everyone happy holidays. We noticed he was slowing down as he approached his second birthday, so we had a little party for him a few weeks ago. The picture above is him enjoying (or at least tolerating) our human shenanigans around his birthday. He was sweet and a homebody, had a beautiful coat, and preferred carrots and peas over fruit. Goodbye Hamphrey, we will miss you. Hamphrey after his surgery last year. Hamphey getting his holiday cheer on. 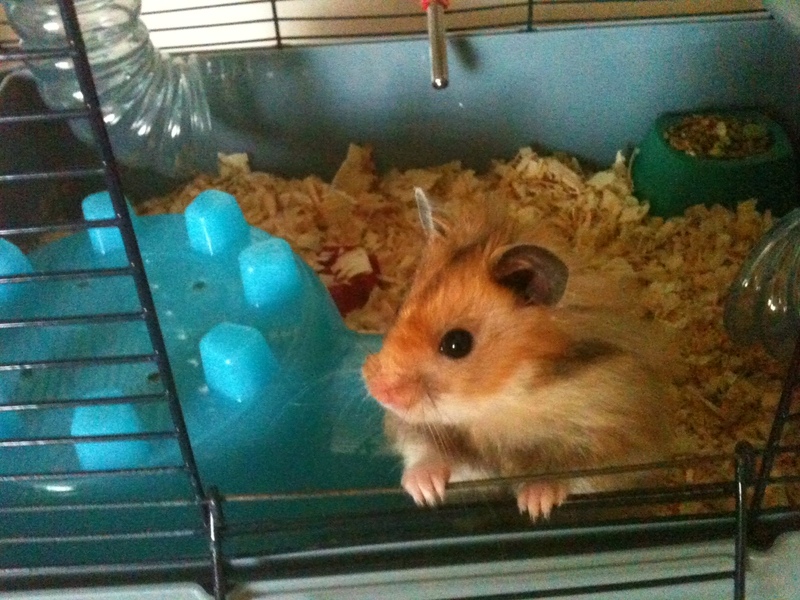 This entry was posted in family, Friends, Pets and tagged death of a pet, hamsters on April 13, 2015 by sdeden.